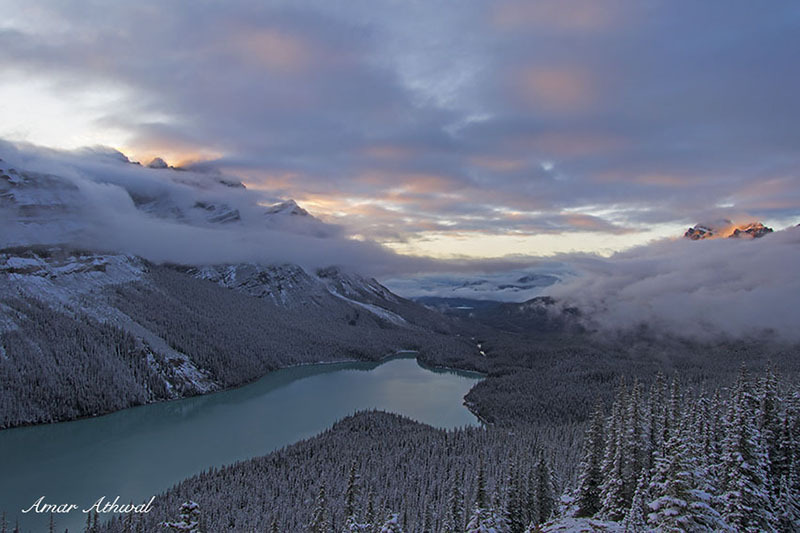 For few days winter arrives in the Canadian Rockies. Friends and I were visiting Jasper and on our way back to Banff, we stopped by Petyo Lake to take sunset pictures. It was winter wonderland.